For companies with geographically isolated infrastructure like pipelines, powerlines, and oil & gas wells spreading over thousands of miles of terrain, land movement and other critical changes can often go unnoticed. These events often happen in remote or difficult to access locations that are easily missed by manual inspections and flyovers. Small changes can often be precursors to much larger events that lead to operational disruptions and regulatory consequences such as pipeline leaks or downed power pylons. 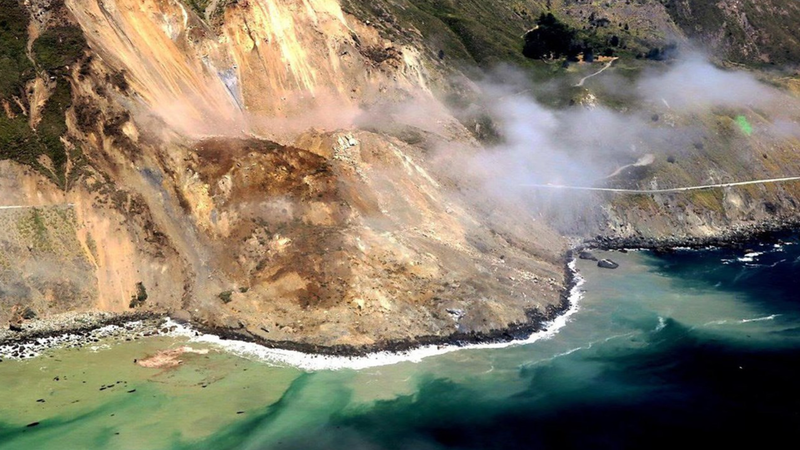 Easily preventable, but undetected natural changes like landslides or riverbank erosion can damage infrastructure that interrupts operations, contaminates local ecologies, and poses a health & safety risk to workers and local residents. Responding proactively to threats is always cheaper than remediation and repair work and can decrease or eliminate operational interruptions or regulatory consequences. 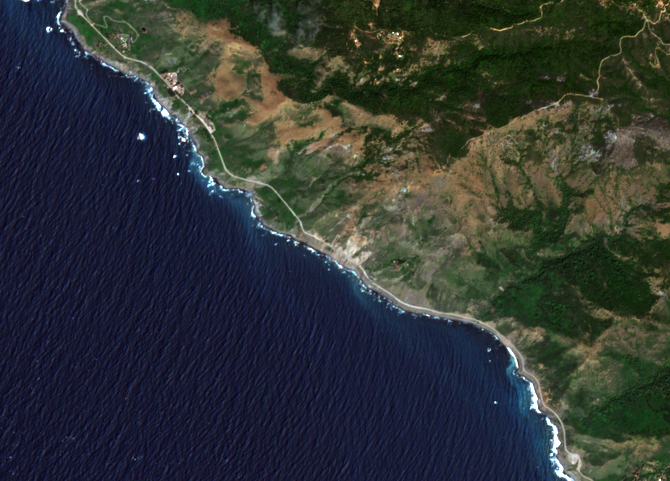 The Big Sur, California landslide after automated change detection analysis of before and after images. In the past, we’ve demonstrated that Satelytics can be used to find much smaller and often difficult to notice land movements and changes along pipeline right-of-ways, high tension power lines, and oil & gas infrastructure. 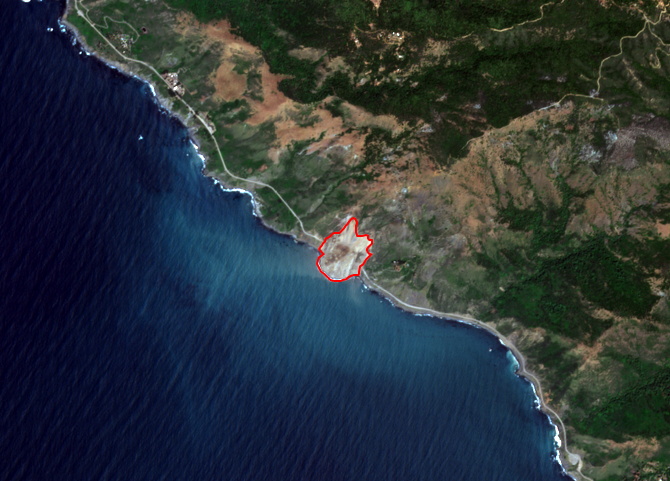 The powerful software and machine learning algorithms behind Satelytics can process terabytes of satellite imagery over thousands of miles of terrain. This means more accurate information than flyover or manual inspection, as well as turning the tedium of parsing that data into a simple, repeatable process located on a cloud software platform. Changes are documented in maps and charts via the Satelytics web interface, or sent to any third-party software via our API that enables seamless passing of data between software applications. Alerts can also be sent to mobile devices or work order software giving up-to-the-minute data to field crews. Satelytics is a critical tool in the constant fight to monitor and safeguard energy infrastructure, and as satellite data becomes more readily available as a data source for private enterprise, parsing that big data will only become more important.